If you've been eating Turkey for Thanksgiving, you're doing it all wrong. I mean, sheesh, they were one of the contenders for the Toon Species Election at one point! Try your hand at a traditional Toontown Thanksgiving feast instead: Buttered toast, popcorn, jellybeans, and plenty of pies. We've got fruit pies, leftover jack-o-lantern pies, jellybean pies, beanjelly pies, carkey lime pies, mud puddle pies, sweet potato pies, sour potato pies, SaskaToon berry pies, shepherd's pie, sheep's pie, wolf's pie, and that's not even the half of them! Yeesh, I got carried away and nearly forgot the point of this post. We've certainly got a lot to be thankful for, whether it be for the hard-working Toon Council, this week's Annual Cattlelog Sale, or the faithful Toons fighting off the Skelecog Mega-Invasion, who launched a surprise attack to ruin our holiday fun. Now I know it's not part of our traditional Thanksgiving meal, but I'm going to have to get a little cheesy here. The folks on the Toon Council, to be frank, are thankful for YOU! That's why us Toon Troopers put together a Thanksgiving Update to be thankful for. We listened to the community and hunted down the nastiest, most dastardly bugs in Toontown (next to butterflies, that is). You can consider those bugs squashed, because this Thanksgiving Update is packed full of widely requested bugfixes and little things to touch up Toontown. You can get the full details in the release notes at the end of this post -- chances are one of those pesky bugs that's been annoying you has been fixed! Happy Thanksgiving, Toontown. Go enjoy some of those pies for me! Note from The TTR Team: As you go through your day today, take some time to remember how thankful we are to have Toontown. By the hard work and generosity of Toontown's developers throughout the years, and most importantly the founders over at Disney, we've been able to experience this wonderful game for over 14 years. We'd also like to give a special thanks to the Programming and Technical Operations Staff on our team, who took time away from their Thanksgiving Holiday to put this update together. We're thankful for YOU, and we wanted to show it! Toons of the world, UNITE! • Fixed an issue with the Skelecog Mega-Invasion end date being incorrect in the calendar. • Improved our "District Draining" feature, allowing us to locate Toons to a different district and perform maintenance without disrupting gameplay. • Black Cats, Polar Bears, and ToonFest Blue Toons can now use a "Toon Rewrite" without losing their special color. • Fixed "poofing" for Pumpkin and Snowman heads when running down the street. That'll come in handy this winter! 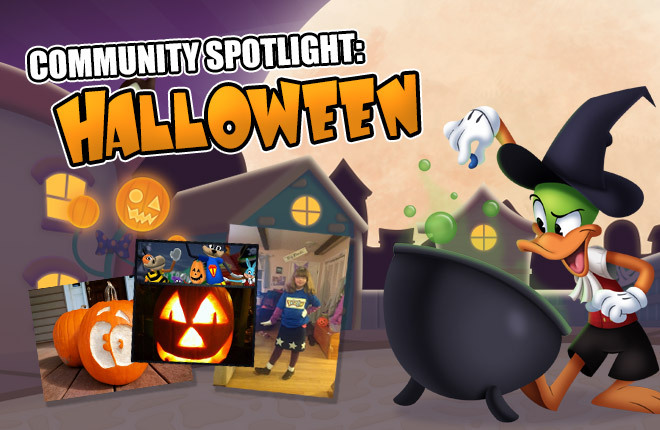 • Improved detection to make sure no Toons are left with a permanent Pumpkin head. • Fixed a crash related to unites, often causing a crash at the end of a CFO. • Fixed a bug causing portions of the Sellbot Factory to disappear when in the East or West Elevator Shaft. • "SPLATS" will now appear properly for pies thrown by other players in places such as the Sellbot V.P. Battle. • Fixed an issue causing excessive frame rate drops when throwing pies in the Sellbot V.P. or Lawbot C.J. Battle. Let us know if you see an improvement! • Fixed an animation error when reeling in fish. • Slightly reduced the length of the reel animation. • All racing trophies should now display properly in the Shtickerbook. • Fixed a visual bug causing the shadow to be visible in the air when placing a Kart. • Added widescreen support for the "Exit" button on a race pad. • Fixed a district reset relating to Party Planning. • Fixed a district reset relating to battles. • Fixed a bug causing Toons to receive no experience if another Toon unexpectedly disconnects in a Cog Building. • Fixed the "500 to go" bug once and for all -- we hope! Send us an email if this issue continues to pop up in any of your battles. Excellent work TTR team! I (and I'm sure many others) am (are) thankful for ALL your hard work. Happy Thanksgiving! Happy Thanksgiving to all of you I hope u have a wonderful time! Thank you very much for all your hard work. My family and I are so grateful for everything and the fact that we still have the opportunity to play this awesome game! I'm thankful for the fact that you guys brought back the game that several thousand people have good memories over. Happy Thanksgiving! Thank you for all the support you give us toons! 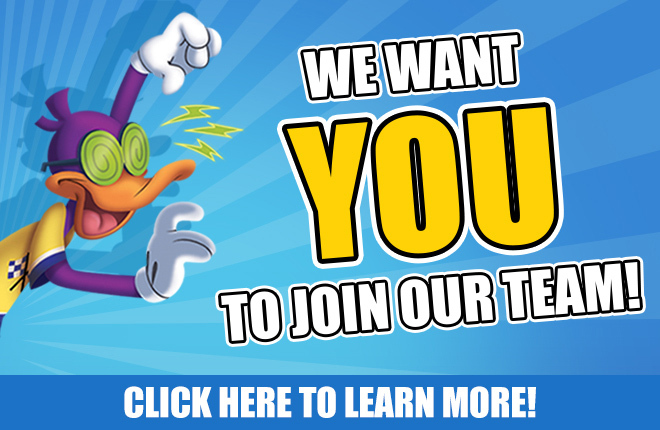 Thank you so much for bringing us toons ttr ttr staff team!!!! 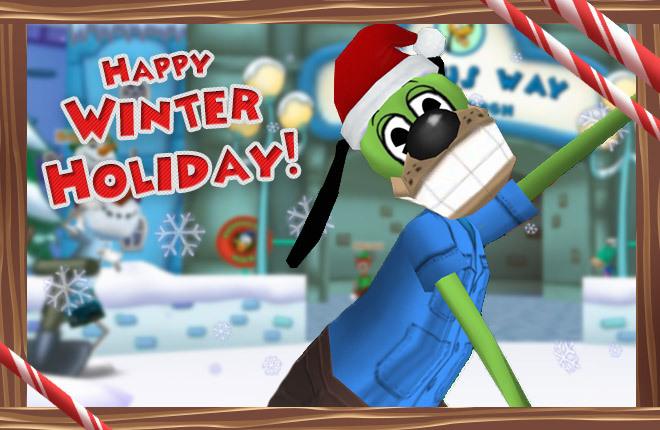 TTR Staff is amazing and all of my toons are thankful for you because this game is life. 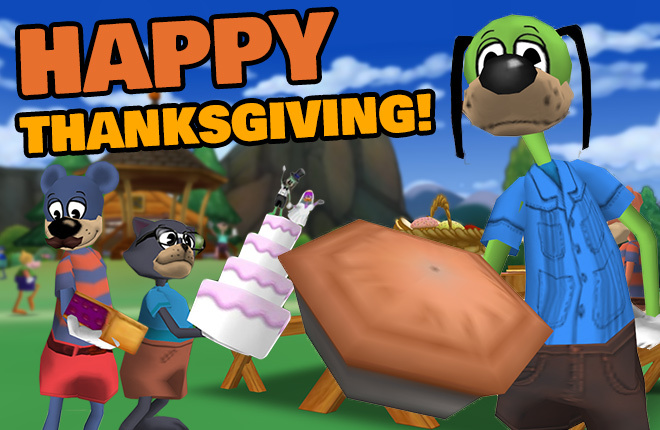 Happy Thanksgiving Everyone and have a Toontastic Day Today!!!!! I have been playing for years, and the update I wanted most has finally arrived! For so long, I had to guess where the VP was because of the FPS drop. I hope everyone on the TTR staff has an amazing thanksgiving, we owe it all to you guys, the ones making this all possible. Thanks TTR Team, hope you have a great thanksgiving with pies and treats ! Thank you so much for everything you've done over the years!! I'm really excited about the whole changing rewrite. I was afraid to lose my Black Cat <3 Thank you again, guys! You're awesome. Happy Thanksgiving, loves. Awesome! Thanks for the update, TTR! Happy Thanksgiving!!! Thanks so much guys!! I hope you all have wonderful days today and everyday! You are all saints! thank you so much for listening to the playerbase for feedback! Yay, thank you so much for improving framerate in CJ and VP! All the other bug fixes are awesome, but that one's the best! I'll be sure to go fight the CJ more often now. Thank you to the wonderful TTR staff! You guys give plenty to be thankful for! Wow you guys are really going for it. Well anyway. Thank You TTR you guys are doing great. (I mean I'm still not forgetting what went down earlier on this year with those achievements) Well today is ThanksGiving. So have a good one guys. I have had toonfest blue color for over a year now, and I am so thankful for the bugs fixed! I'm so thankful that this game is still alive! I'm also happy I can rewrite my polar bear Jolly now because I really wanted to make her medium, but I didn't want to lose the color. Thank you TTR! You guys are so awesome thank you for reanimating my favorite childhood game, i'm so thankful to be apart of the TT community and look forward to many more toontastic years ahead :D!!! Great list! Thanks for all you do! I'm thankful for all your hard work :) Happy Thanksgiving! Happy thanks giving everyone! toons of the world unite! Thanks TTR Team. Happy thanksgiving and thank you very much for keeping Toontown alive! What you've done to change the game is good. I think we can all expect smooth sailing for quite some time. Thank you so much for fixing the losing EXP in Cog Buildings bug. Me and my friends did a four-story building, and when one toon went sad, we all had to rejoin the game and none of us got our EXP. these new bug updates are great! Super awesome! Thank you so much, TTR team! Personally, I'm thankful for the behind the scenes toons who take time out of their day to make Toontown fun for everyone every day. THANK YOU SO MUCH FOR ALL YOUR HARD WORK ON TTR! My game isn't updating this version and I can't play right now, but I still really appreciate how your team has been working really hard to keep this awesome game going. Thanks! Thank you, thank you TTR team for taking your personal time to keep this game not just running, but trying to make it efficient and addressing player concerns. 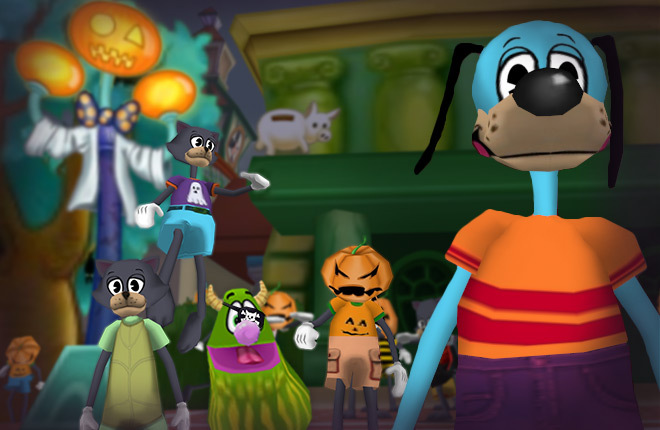 I am thankful that I can experience Toontown again and that the TTR took the time to bring our childhood back. Happy thanksgiving to the TTR team and to all the players! Toontown is the best, we have so much to be thankful for. Toons rule! Thanks! I'm glad these bug where fixed. Hopefully you guys can fix the bug where if you click outside of the window, the game crashes. Happy Thanksgiving! Thank you for continuing to squash those bugs! thank you ttr staff!!! you work so hard on keeping the game working, and even take time out of your thanksgiving to work on nit picky bugs! hope you have a wonderful thanksgiving all reading! What a marvelous Thanksgiving surprise! Ty for the updates, especially filling in those memory holes slowing down HQ throwing battles. Thank you so much TTR team for continuing to keep this game up and updating it frequently! Thank you so much TTR! I LOVE THE GAME. Especially this one! I play it 24/7! I CANNOT GET ENOUGH OF IT! I hope you and your families are blessed and have a WONDERFUL THANKSGIVING! Thank you so much for the work you do to keep TTR up and running for all! I don't celebrate Thanksgiving but Happy Thanksgiving! I love this game so much and the TTR team always work so hard. :D Can't wait for Christmas. Thank you for all you hard work and giving us something we enjoy doing. May your Holidays be bright and peaceful.. Finally, hated that glitch where if someone died in a cog building, the others would receive no experience. Thank you TTR staff!!!!!! You are appreciated! Enjoy the Holiday Weekend & Stay Toonerific!?? Happy Thanksgiving! I'm very thankful that all you guys at the HQ remade this game! Thank you so much, TTR Team! We love you guys!!! Been waiting a while for some of these fixes! Thank you TTR Team! Wow!! Your guys are amazing. Thank you for keeping Toontown alive! GW! Thank you TTR team for making TTR and maintaining it! Happy Thanksgiving! I wondered why this skelecog mega invasion was on my invasion tracker, it caught me off guard. I made sure to take out as many as I could! Love what you guys have done and thanks for bringing this games back and every thing you've done with it so far. Happy Thanksgiving!! I know im late but still Happy Thanksgiving! Hope everyone enjoyed their Thanksgiving!!! And a special Toontastic Thank You for 14 years of Toonerific Fun by creating and continuing to enhance TTR for all Toons of the World to enjoy!!! :) Hip HIp Hooray!!! You All Rock!!! Thank you so much, TTR!!! I hope all of you have a wonderful week!! Darn I missed the event! I hopefully will make it next year!